The gram-positive bacteria retain the crystal violet and stain purple, while the Gram-negative bacteria lose the crystal violet and stain red from the safranin counterstain. So by Gram-staining technique and the color they retain is crystal violet or not describes the features of the bacteria, as well they are characterized as positive or negative. The word ‘gram-staining‘ technique arose from the Danish bacteriologist Christian Gram in 1884. This stain is a weak alkaline solution of a crystal violet. Though it is an old technique, still consider as the cornerstone in the field of microbiology for bacterial identification. 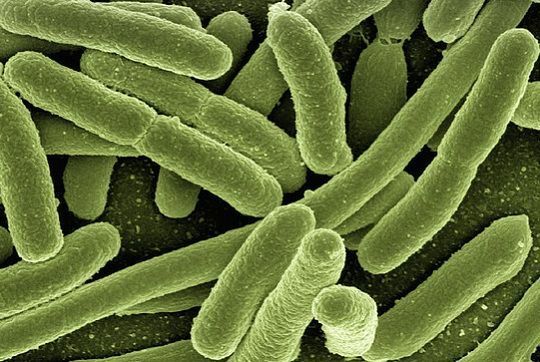 Bacteria are the oldest form of cellular life. They are also the most widely dispersed, occupying every conceivable micro climate on the planet. The composition of the prokaryotic cell wall is used to classify bacteria into four major classes – gram positive bacteria, gram negative bacteria, bacteria with no cell walls and bacteria with chemically different cell walls. In the provided article we will interpret the difference between the gram positive and gram negative bacteria along with few similarities also. Meaning Such bacteria that give the positive result to the gram stain test, and take up the crystal violet stain are called gram positive bacteria. The bacteria that is not able to retain the crystal violet color and show negative result to gram stain test are called gram-negative bacteria. Examples Streptococcus, Clostridium, Lactobacillus, Bacillus subtilis, Leuconostoc. Vibrio, Rhizobium, Escherichia coli, Acetobacter. Colour obtained after gram staining Appear as dark violet or purple colored when observed under microscope after gram staining and retain crystal violet colour after washing with alcohol. Appear as in red or pink coloured when observed under a microscope after gram staining and counterstain to safranin. Cell Wall Single layered. Bilayered. Straight and even. Wavy and uneven. Less elastic and more rigid. More elastic and less rigid. The rigidity of the cell wall is due to the high amount of peptidoglycan, which is around 80%. The elasticity of the cell wall is due to the less amount of peptidoglycan, which is around 2-12 %. Cell wall has muramic acid, which is around 16-20% of the total dry weight of the cell. The content of muramic acid is only 2-5% of the total dry weight. The cell wall show resistance to alkali. The cell wall is sensitive to alkali. The cell wall contains the teichoic acid Teichoic acid is absent in the cell wall. The cell wall is susceptible to degradation by the action of the enzyme called as lysozyme. The cell wall is less sensitive to degradation by the action of lysozyme. The thickness of the cell wall can be up to 15-30 nm or sometimes can be 80 nm. Thickness can be up to 8 - 12 nm in the range of the cell wall. Other characteristics Periplasmic space either absent or if present then it is very narrow. Periplasmic space present. Lipid content is low which is around 1-4%. Lipid content is high that is around 11-22%. The outer membrane is absent. The outer membrane is present. Proteinaceous membrane channel called as porins are absent. Porins are present. The flagellar structure has two rings in the basal body. The flagellar structure contains four rings in the basal body. Produce endospores, at the time of unfavourable condition. Do not produce endospores. Antibiotic affects Vancomycin antibiotic is used to kill them. No effect of vancomycin antibiotic. Being prokaryotic organisms, the cell of the gram-positive bacteria has many distinct features, but mainly the gram-positive bacteria differs from the gram-negative bacteria is the content present in their cell wall. Like we know that gram-positive bacteria retain the violet color, it is due to the presence of the thick peptidoglycan layer in the cell wall. The cell has the cytoplasmic membrane of lipid; they form the lipoteichoic acid (the combination of the lipids and the teichoic acids) which serve as the type of adherence. The periplasmic space is smaller in comparison to the gram negative bacteria. The flagellates which are present in certain species have the support of only two basal body rings. Some species may also contain the polysaccharides containing capsule. They have a surface layer known as S-layer, which is attached to the peptidoglycan layer. The three basic shapes are bacillus (rod-shaped), coccus (spherical), spiral (twisted). The Gram-positive bacteria include Streptococci, Staphylococci, Pneumococci, Bacillus anthracis (causing anthrax), Corynebacterium diphtheria causing diphtheria. They are also known for causing diseases such as skin infections, septic arthritis, osteomyelitis, endocarditis, tuberculosis, etc. So antibiotic treatment is given to the patient suffering from such disease, which is easy to cure but can be life threatening too. Apart from certain similarities, there are few distinct features also, like the cell wall of these organisms which is of peptidoglycan is very thin and is situated between the inner and the outer bacterial membrane of the cell, due to which it is incapable of retaining the crystal violet color and counterstain the safranin and appear to be as red or pink. These three components (inner and outer membrane along with the peptidoglycan layer) make up the cell envelope. Gram-negative bacteria have a cytoplasmic cell membrane; the outer membrane is made up of lipopolysaccharides. They have porins in the outer membrane, which works as the pores for the molecules. The S-layer is attached directly to the outer membrane, and the flagella have four supporting rings. Periplasm is a gel-like substance present between the outer and the cytoplasmic membrane. Teichoic acid is absent in them. Escherichia coli is the model organisms of this category, while other is Neisseria gonorrhoeae, Pseudomonas aeruginosin, Chlamydia trachomatis, Yersinia pestis. The antibiotics include aminoglycosides and carbapenems. The unique character of the gram-negative bacteria is the presence of outer membrane, which protects bacteria from many antibiotics, chemicals, detergents, and dyes. Hence other alternates like lysozyme, EDTA, ampicillin, streptomycin have been developed to encounter them and thus protect from pathogenicity. The outer layer is made up of lipopolysaccharide, where the lipid portion act like an endotoxin. If these bacteria enter into the circulatory system, the lipopolysaccharide will show toxicity and thus result in respiratory, blood pressure problems. Gram-positive bacteria are those bacteria that give the positive result to the gram stain test, and take up the crystal violet stain, while those bacteria that are not able to retain the crystal violet color and show the negative result to gram stain test are called gram-negative bacteria. Colour obtained after gram staining in gram-positive bacteria is crystal violet and red or pink in gram-negative, counterstaining the safranin. Rhizobium, Escherichia coli, Acetobacter are the example of gram negative bacteria. and more elastic and less rigid where the elasticity of the cell wall is due to the less amount of peptidoglycan, which is around 2-12 %. The gram-positive bacteria’s cell wall have muramic acid, which around 16-20% of the total dry weight of cell and even the cell wall show resistance to alkali, also contains the teichoic acid, whereas the gram negative bacteria’s cell wall is sensitive to alkali, muramic acid is only 2-5% of the total dry weight and teichoic acid is absent in the cell wall. The thickness of the cell wall ranges from 15-30nm and is susceptible to degradation by the action of the enzyme called as lysozyme, although in gram-positive bacteria the cell wall is less susceptible to degradation by the action of lysozyme and the thickness varies from 8-12 nm. The gram-positive bacteria produce exotoxins, while the periplasmic space either absent and if present then it is very narrow and the gram-negative bacteria produce endotoxins, the periplasmic space present in them. The outer membrane is absent in gram-positive bacteria. Also, the lipid content is in 1-4% only, whereas in gram-negative bacteria outer the membrane is present in gram-negative bacteria. Also, the lipid content is 11-22% which is very high. The other features like the proteinaceous membrane channel called as porins, lipopolysaccharides are absent and produce endospores during unfavorable condition, but these are present in gram-negative bacteria, though they do not produce endospores. The flagellar structure has two rings in the basal body of gram-positive bacteria, while gram-negative flagellar structure contains four rings in the basal body. The cell of gram-positive bacteria show less susceptibility towards chloramphenicol, tetracyclines, streptomycin and high susceptibility towards sulfonamide and penicillins antibiotics, whereas the cell of gram-negative bacteria shows high susceptibility towards sulfonamide, penicillins and low susceptibility for chloramphenicol, streptomycin, and tetracyclines. Both are the prokaryotic organisms. They lack well develop nucleus, nuclear membrane, and other membrane-bound organelles. They have closed circular DNA as their genetic material and also contains the plasmid (extra-chromosomal genetic materials). Their cell wall is made up of peptidoglycan, and the cytoplasm is surrounded by the lipid bilayer. They both have a surface layer called as S-layer. They both undergo sexual as the well asexual type of reproduction, where conjugation, transformation, and transduction are the sexual methods while binary fission is the asexual process. Both categories contain many flagellated and non-flagellated species. Bacteria are the unicellular, prokaryotic, microscopic organisms, found everywhere acquiring almost all types of habitat. These are the dominating living creatures on earth. They may be beneficial or harmful to us. As they are responsible for causing many diseases in plants, animals, and humans, but sometimes they play the role by ecologically benefitting the environment in nitrogen fixing, in cellulose degradation, etc. Bacteria are mainly categorized as gram positive or gram negative; this differentiation is by the technique of staining known as Gram staining method. We also discussed the features of them and how they are distinct from each other.